The national sales programme has kicked off for Modi apples. 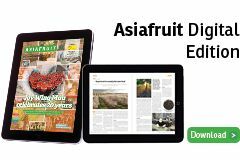 Australian supplier Freshmax has been rolling out the apples since early March, with a positive start to the season. 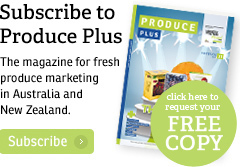 “Sales figures are tracking well, and we have already seen a significant increase in demand compared to the previous season,” says William Snell general manager of sales at Freshmax. 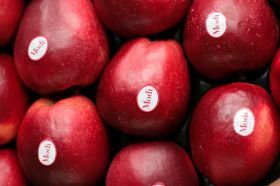 “The colour, flavour and crunch of Modi makes it stand out to the consumers, and Freshmax, and our grower partners are thrilled to be giving everyone the opportunity to enjoy such a great apple,” said Snell. The 2018 marketing campaign for Modi began with branding promoted across outdoor media channels in Sydney and Melbourne. The campaign also featured a collaboration with Run for the Kids – a fun run held in Melbourne that raises funds for the Royal Children’s Hospital Good Friday Appeal. “By incorporating community engagement activities into our marketing mix, it not only helps us to associate with a great cause but also to understand how our brand is perceived and get real, unfiltered feedback from consumers,” said campaign manager, Sona Padman. Padman has planned a number of interactive marketing tools for Modi this year, in order to elevate brand awareness and increase market engagement.